There will be two Axis of Oversteer branded cars competing on the Circuit Gilles Villeneuve in Montreal this coming week end. The first one you know, it's the 2011 Porsche GT3 Cup which first saw action exactly one year ago during the Grand Prix week end. On his very first outing in that car, on that track and on wet tires, it was driven by our own Carlos Gomez to a sixth place finish. 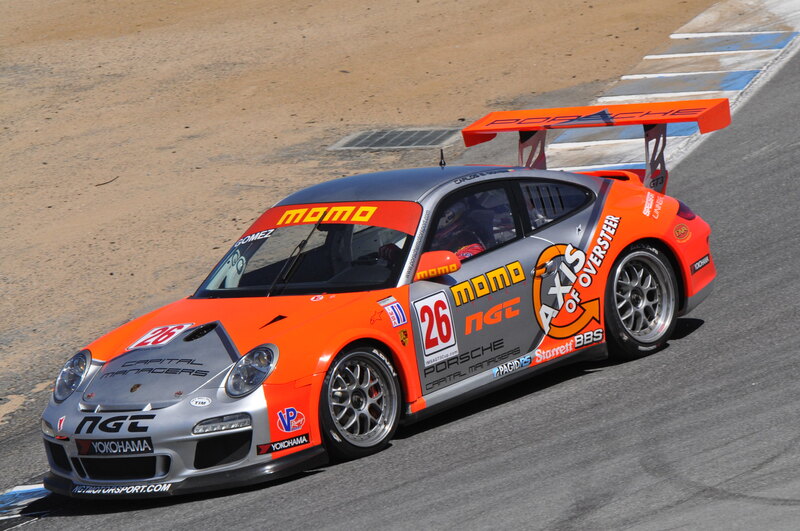 This year the GT3 is managed by team NGT and ready for more action north of the border. Qualifying will be Saturday at 11:15 and the race Sunday from 10:40 to 11:10. Now the big news: Carlos has been training for Ironman, why? So he can do back to back GT3 Cup races and two Ferrari Challenge races on the same week end! 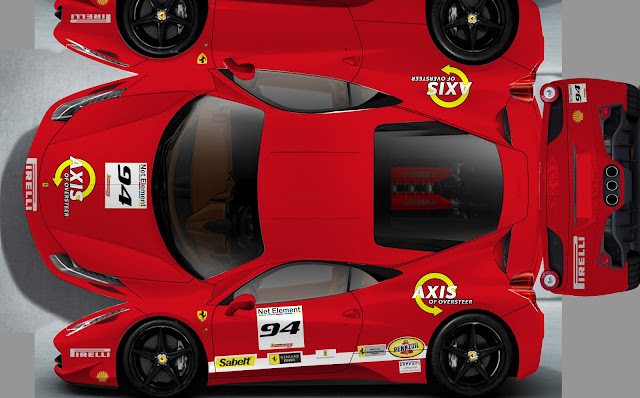 That's right, the second Axis car will be the Scuderia Corsa / Ferrari of Beverly Hills 458 Challenge. The car will arrive in Montreal on Wednesday where it will be wrapped by the team from SkinzWraps. I'm sure you noticed that is exactly 15 minutes from the end of the Porsche GT3 Cup race meaning CG will need among other things and ironman bladder because I doubt he will even have time for a Kimi moment between races! Follow us here, on Facebook and on Twitter for updates though out the week! Great! , Good Luck Carlos. Good Luck Axis! If you guys needed a 2nd driver you should have said something!! I'll be at the race this weekend with Pirelli, I'll try to capture a few pictures of both cars!